Keenan Allen has returned to form as Philip Rivers’s top targets on the Chargers following a slow start to the season. In shaking off the rust, he’s rattled off five consecutive games with a touchdown catch. Hunting for number six Thursday night, Rivers lofted a pass to the corner of the end zone on a first-and-goal from the eight-yard line. 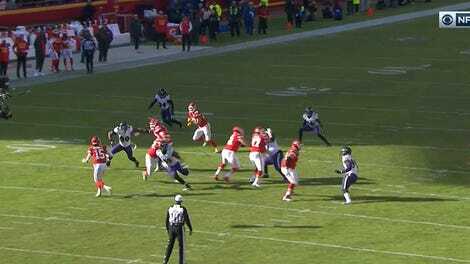 Allen was able to corral the ball with his right hand before it hit the ground, in spite of Kendall Fuller being draped all over him, resulting in a defensive holding call. The Chargers elected to accept the penalty because the pass was ruled incomplete, unfortunately. 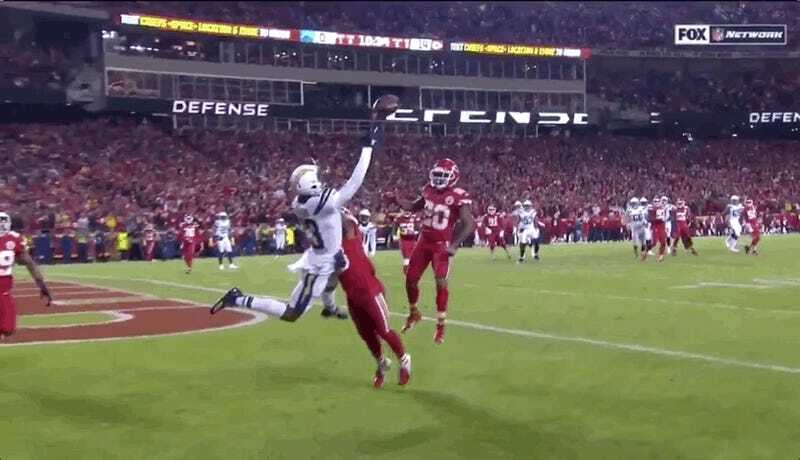 Los Angeles was able to get its touchdown just two plays later with a pass to Mike Williams, but screw that. If the league truly admired athletic accomplishment, this catch would have counted for a touchdown—rules be damned.